Smith Lake is a deep, clear man made reservoir situated in northwest Alabama on the Sipsey fork of the Warrior River System. It is now nearing 50 years since its impoundment. How deep is Smith Lake? As most Alabama anglers know, deeper than any other reservoir in Alabama, like 300 feet deep! At 21,200 surface acres of water (at full pool) and over 500 miles of shoreline…that’s a lot of water to explore this fall and winter seasons. Unseasonably low water lake levels this past summer season showed Smith Lake down 10 feet. Actually, the lake level during the late fall / winter period is traditionally lower. Smith Lake has been drawn down even lower, with the lake down for winter pool as low as 30 feet in the past. So you would think, “what does 30 feet down do to hurt the fishing on a lake with 200-300 foot depths”? Not much. The schools of spotted bass and largemouth bass (that are just a couple of fish species that make up this huge lake) easily adjust to falling water levels. They are used to fluctuating lake levels on this lake (up or down) and besides, there are many factors that drive them towards deep water. Most of these bass are already relating to deep water due to this summers drought, 3 weeks of 100 + degree air temps, water temps of 90 degrees, little or no rain for months, recreational water vehicles and boaters lake wide and some very clear water as well. All of these negative fishing factors showed daytime bass fishing for both spotted bass and largemouth bass really slow down in July and August. Night fishing was the only way for anglers to go with air temperatures of 105 degrees in late August. But with the coming of fall it always gets better on Smith Lake. Unknown to many anglers that just plain miss this opportunity on Smith Lake, due to them usually fishing on other lakes they are more comfortable with. Or some “would be anglers” have duties like watching football, hunting and getting their children back in school. So if you have not fished Smith lake during this period from late September on into December, you may want to take out some time and do so. 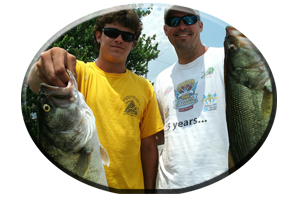 There is also some excellent bream fishing, cat fishing, crappie fishing, white bass and striped bass fishing to be had on Smith Lake. As waters cool the fishing for all these species gets even better. But the bass get a lot of attention from tournament anglers and trophy bass hunters alike. Keep in mind there have been largemouth’s over 10 pounds and some up in the “teens” taken on Smith Lake in past fall and winter seasons. Also five of the past world record size spotted bass have been taken out of Smith Lake. Smith Lake is made up of thousands of schools of spotted bass. Unlike the homebodies the largemouth bass, these feisty little fighting bass roam the lake in huge wolf packs in search of an easy meal. They are usually following the bait fish schools around and feeding on threadfin shad and gizzard shad. 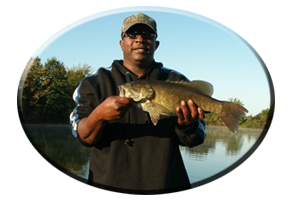 Or spotted bass can roam the lake searching the shallows for other meals like small catfish, crappie, bedding bream and crayfish. They may feed on small worms, eels, snakes, small minnows, insects and other small prey. So lures that look similar to these smaller meals they feed on work very well in Smith Lakes clear waters. 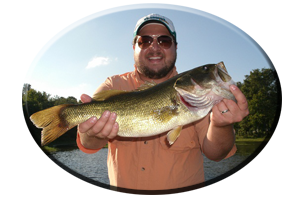 Spotted bass do have a small mouth and they may prefer to feed on meals that are small, especially when compared to the feeding habits of the notoriously labled, largemouth bass, some of which can easily devour a one pound shad. But don’t rule out fishing for spotted bass with oversized lures. They can be taken with big, oversized lures usually reserved for fishing for stripers or largemouth bass. Lures like big worms or jig combos fished on bottom, or oversized floating and suspending model jerkbaits, big gaudy spinnerbaits and zara spook topwater lures can fool even the weariest of spotted bass. Trophy sized spotted bass on Smith lake in the 5-9 pound class have been taken on lures you would think they would refuse, due to the lures being to big. 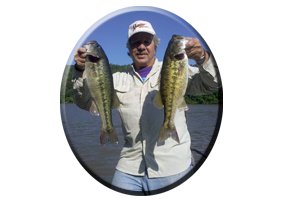 The largemouth bass of Smith lake get little recognition. Most anglers visiting this lake for the first time have spotted bass or striped bass on their mind. But ask any local about largemouth’s of the trophy size and most will tell you they do exist. 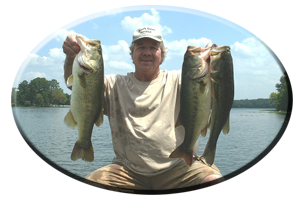 I have seen a few 9-10 pound largemouth’s and heard of a 13 pound largemouth bass taken many years back on Smith Lake. There are plenty of largemouth’s in the 3-5 pound range in this lake. They are surprisingly shallow, found in the fall season hanging around wood cover like laydown trees, logs, stumps and brush. Rocky points or rock bluffs featuring wood cover are attractive to Smith lakes largemouth’s or if an angler can fish whatever piers and boat houses are still in the water at low pool. These largemouth bass can be fooled with topwaters like buzzbaits and zara spooks, sammies or over sized poppers. Or they may be very skittish due to water clarity and hit smaller topwaters like baby torpedoes, pop-r’s, the spittin’ image, the poppin’ image or very small buzzbaits. As fall rains increase on Smith Lake the mid-to-far back ends of major feeder creeks and the lakes headwaters will display current and a stained look to the water. This gives these feeding bass a feeling of security, especially when compared to them swimming around in very clear and deep water, so they move shallow to feed. This is when spinnerbaits are excellent lure choices. So are crankbaits, floating and suspending jerkbaits and a whole list of Texas rigged worms, Carolina rigged worms and small finesse worms fished on jig heads, all that will fool both spotted bass and largemouth bass as waters cool and winter approaches. Give Smith Lake a try this fall and winter season. Or call on Reeds Guide Service and see how to fish this lake… that often stumps many other anglers. Keep in mind a guided fishing trip with Reeds Guide Service makes a great surprise gift for Birthdays, Fathers Day or Christmas (certificates available), for those loved ones that love to fish.